The StreamCorder-HD-HDMI is an intelligent, stand-alone, H.264 Streaming solution that accepts HDMI input at up to 1080p60 and encodes and streams over 100/1000MBit Ethernet. 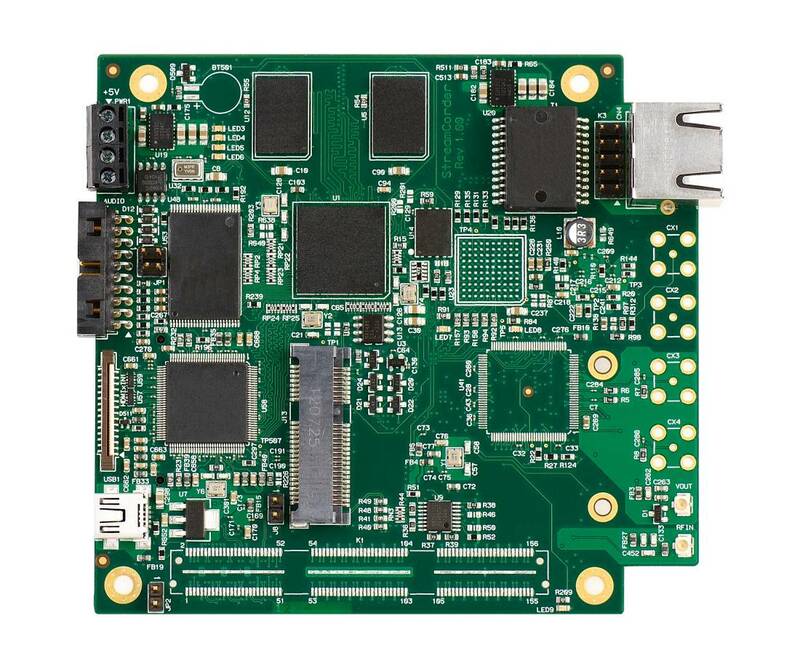 The single board solution is ideal for demanding applications in Military, Communications, Transportation, mining and Energy industries. 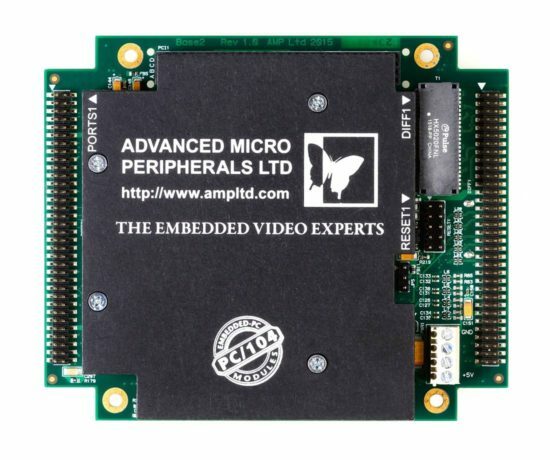 The flexible streaming engine can stream the compressed video direct from the on-board Ethernet port as well as save directly to local storage for later retrieval. Stereo audio embedded in the input HDMI source can also be captured and streamed, synchronized with the video. 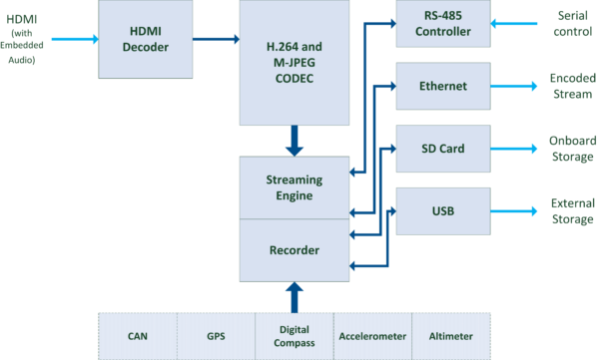 The StreamCorder-HD-HDMI also features optional on-board Controller Area Network (CAN), 3-Axis Accelerometer, High sensitivity GPS receiver, Altimeter, and 3-Axis Digital Magnetometer (e-compass). These can integrate with other vehicle systems and data from these sources can be used as meta data embedded within the video and streamed to clients or saved for later analysis. The StreamCorder-HD-HDMI is an intelligent stand-alone device with it’s own on-board CPU and does not require a host CPU or any driver or OS software. For mechanical convenience the module can be mounted on a PCIe104 stack without consuming host CPU resources.